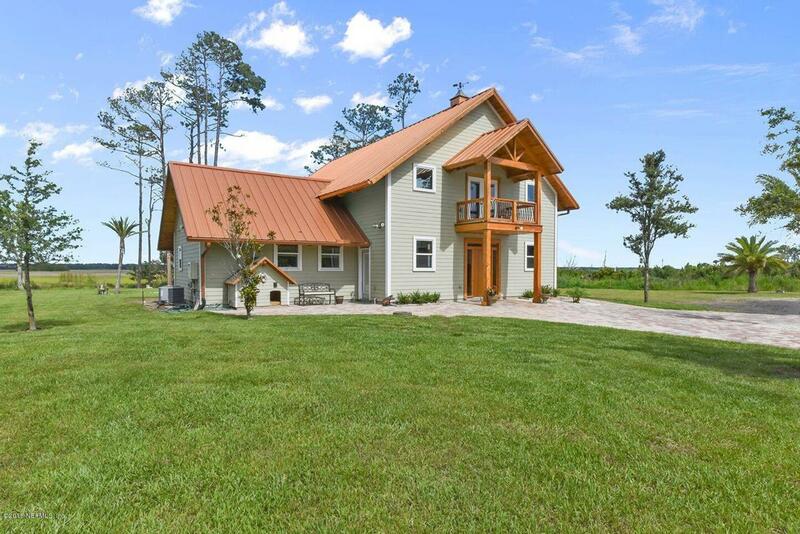 Surrounded by peace and serenity this stunning marsh view 5 acre estate has it all. 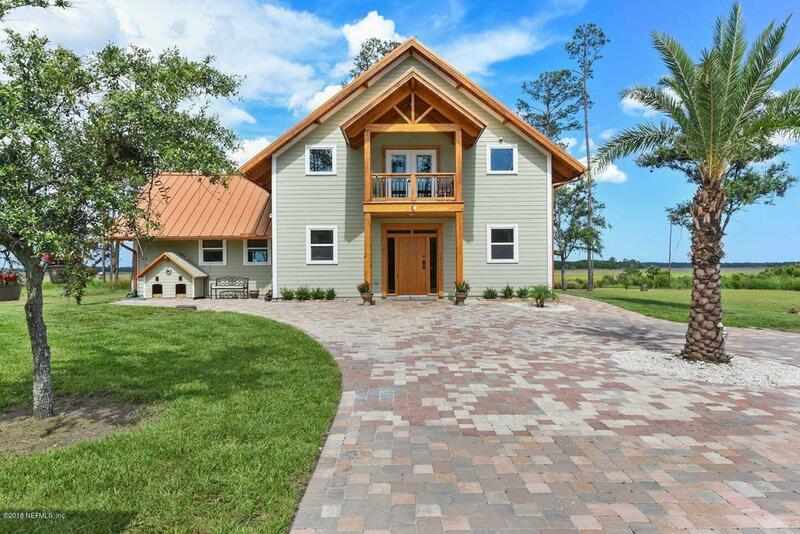 Custom built home has an abundance of amenities that you will not find anywhere else. Private custom gated entry, 1 bd/1ba guest house, huge shop with office. The interior design is cypress, cedar and pine that was collected and milled for the home. 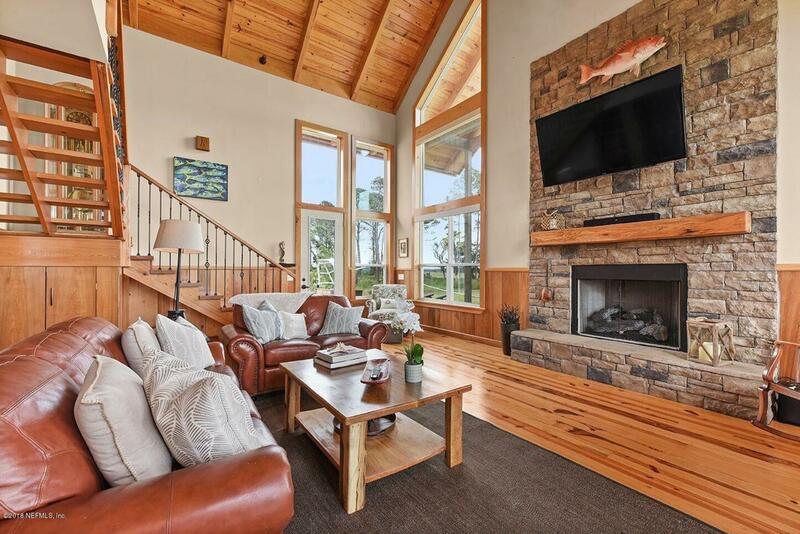 Inside the 2 stories of windows captures views of the wildlife and boats on the Intracoastal Waterway. 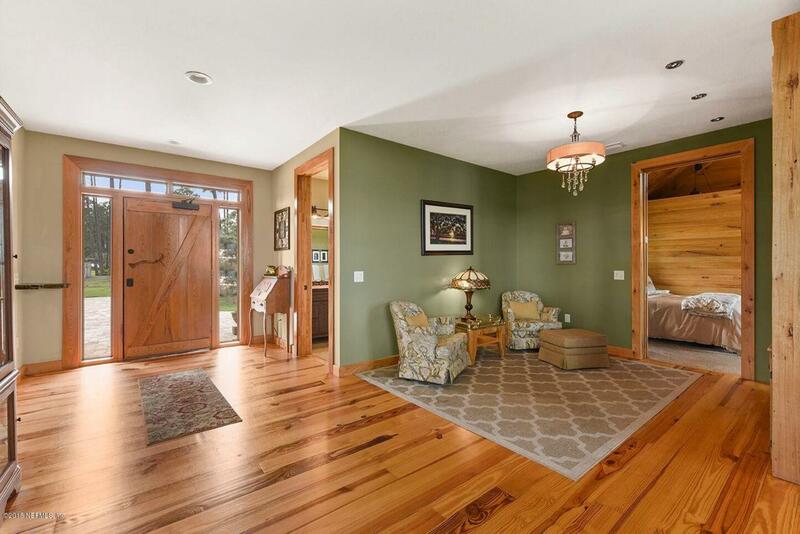 Open floor plan with gas fireplace, kitchen has a chef's stove, rustic sink, large island. The stairs lead up to the 2nd story balcony and into the master suite. Exterior deck has grilling area and fire pit. Workshop with work room storage and space that is perfect for office or man cave. The mobile home w/screed porch perfect for guest. Pond.